Raspberry Pi 'mutants' set to spread Jump to media player The makers of the Raspberry Pi computer are to allow third-parties to develop customised versions of the barebones PC. What is the Micro Bit? Jump to media player Find out more about the BBC's Micro Bit. How a Raspberry Pi becomes a radio Jump to media player How can you build a radio from a Raspberry Pi computer? School Reporters from Essex find out. New 'snappier' Raspberry Pi released Jump to media player The creator of the Raspberry Pi Eben Upton says the new model is "snappier" and more powerful than ever before. Coding made as easy as Raspberry PI Jump to media player School Reporters on how the simple Raspberry PI computer can make coding fun. The makers of the Raspberry Pi computer are to allow third-parties to develop customised versions of the barebones PC. The "mutant" versions of the Pi can involve changes to the layout of its circuit board, use of extra memory, redesign of the interfaces that allow it to connect to other equipment as well other modifications that add or remove functionality. The announcement comes a fortnight after Intel announced the release of Arduino 101 - a rival stripped-back computer, which will cost $30 (£19.50) when it goes on sale next year. 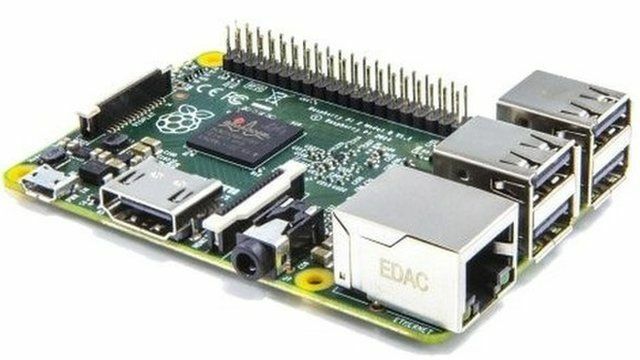 The BBC's technology correspondent Rory Cellan-Jones asked Raspberry Pi's founder Eben Upton what uses he expected the custom-made PCs to be put to. Go to next video: What is the Micro Bit?